Every now and then, Modern Family likes to get its Arrested Development on by rolling out an episode that’s filled with a lot of ludicrous situations built upon a number of lies, only to have everything eventually tie together at the end of the episode. Some of the earliest and best seasons of the show managed to pull this off, adding in the saccharine but undeniably charming emotional element along with all the intricate plotting. 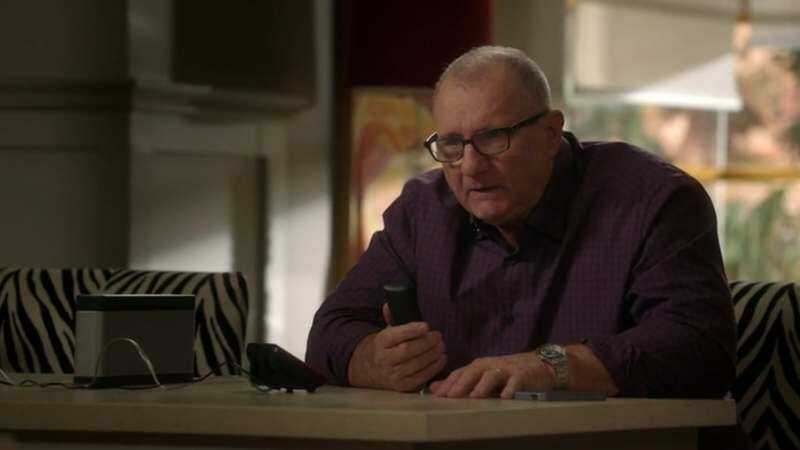 There’s no reason Modern Family can’t continue to produce such episodes—generally speaking, they don’t necessitate the more nuanced character work that drives some of the show’s more stirring episodes—but if “Pig Moon Rising” is an example of the show’s execution, there’s evidence enough that perhaps such convoluted plots just don’t quite work anymore. It’s hard to really point to a single reason why “Pig Moon Rising” is such a mess, partly because there are many reasons, and partly because the whole plot feels so limp that indifference, rather than intense criticism, is the appropriate response. But let’s set the stage first. The idea behind “Pig Moon Rising” is that everyone needs a favor because they didn’t follow through on a promise to their loved one. Jay needs tickets to a Gloria Estefan concert because he failed to buy them for Gloria Delgado-Pritchett; Mitchell has to cover for the fact that he spilled the ashes of Cam’s childhood best friend, a pig named Lily; Phil and Claire have to cover for the fact that they’ve invaded Luke’s privacy and secured a spot in college for him; there’s more, but half of this review could be dedicated to listing them and nobody wants that. So, as you can probably see just by perusing the narrative beats above, this episode is jam packed with twists and turns. Before the episode has even hit its first commercial break we’ve learned that Luke has been getting nonstop rejection letters from colleges, that Cam once dated a member of the Miami Sound Machine, and been subject to a longwinded monologue about the tradition of the Pig Moon. Admittedly, the monologue is hilarious—while the country vs. city dynamic between Cam and Mitchell is predictable, it still consistently delivers laughs—but it’s also evidence of the episode’s overstuffed approach. Once you realize that the whole episode is going to involve a number of lies that end up being revealed at the end, and that happens rather quickly because its self-evident in the structure, it loses most of its intrigue. Rather than moving through unpredictable beats, the episode becomes 22 minutes of checking off boxes so that everything can come together in the end. More than just a taxing structure, “Pig Moon Rising” just isn’t very funny. This is supposed to be a comedy of errors, but the ratio is all wrong: too many errors and not enough comedy. Nearly every punchline here is of the low hanging fruit variety. When Manny compares his plethora of college options to suitors on Downton Abbey, Jay tells him to “avoid the big football schools.” Hope that one didn’t go over your head. Or there’s Manny trying desperately to keep Gloria away from any reminders of him leaving for college, only to run into reminders everywhere. “Pig Moon Rising” too often takes the predictable route when it comes to jokes, and that kills any momentum that could potentially be generated by the layers of lies and outrageous circumstances. Even when every single storyline comes together, and everyone learns that they’re partner was lying, it doesn’t really feel like a resolution; it’s Eliot’s “not with a bang but a whimper” in sitcom form, and minus all the thematic layers, of course. There are some funny reveals to be sure, like Cam realizing that his hot Miami Sound Machine date all those years ago actually owned a mobile dog grooming service called Miami’s Hound Machine, but there’s not enough to really make the landing stick. The character that’s meant to tie all of this together is Luke. After learning that his parents essentially bribed his way into a single acceptance letter, he storms off, only to return and sort out everyone’s problems. He secure the tickets for Gloria, helps Haley with her parking tickets, and tells Cam and Mitchell that most of their problems could be solved by communicating more with each other. He’s not wrong, but it’s a rather anti-climactic finish to an episode that’s all about building to a climax. I’ve said before that Luke’s sudden shift into competence has been underexplored, and that’s evident again here. “Pig Moon Rising” doesn’t fall apart because of Luke though. He’s just a small player in this messy drama. Instead, the episode suffers from its belabored structure. Everything that takes place is seemingly in service of the ending, meaning that nothing throughout the episode, from punchlines to the smaller character moments, hit home. Add to that a lackluster climax and a nearly incomprehensible resolution, and you have one of the most forgettable episodes of this season so far. Can’t say I was expecting a reference to Gary Puckett & The Union Gap tonight. “My whole upbringing is a big joke to you.” A moment of realism amongst the chaos. A nice touch: that the Dean was basically a creepier version of Phil.